It’s been a while since chemists have known that molecules undergo excitation when exposed to electromagnetic radiations. Use of microwave or dielectric heating in organic chemistry has lead to extraordinary reaction rate enhancements. More recently the use of microwave radiation for heating reactions has even been expanded to inorganic and materials chemistry. In the background of green chemistry, microwave irradiation provides an alternative to the conventional methods, for heating or introducing energy into the system. It utilizes the ability of mobile electric charges present in liquid or conducting ions in solid to transform electromagnetic energy into heat. 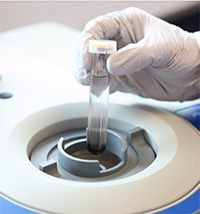 Microwave-assisted reactions are fast, clean, economic and eco-friendly. This technique has frequently been proposed as the “technology of tomorrow”. In last 2 decades, microwave synthesizer have taken organic chemistry by strom. Fast kinetics, higher yields, excellent purity, wide compatibility of solvents and their applicability to a variety of reactions and applications, make them very useful tools in the laboratory. After their introduction, chemists started to use supported reagents for solution-phase synthesis. The polymer-supported reagents commonly used, although very useful, have drawbacks in microwave synthesizers, namely swelling and heat instability. The high temperatures generated inside these synthesizers put stress on the resins. Also, because of the small reaction volumes, the swelling of the resins can be problematic. Silica-based products on the other hand, do not suffer from such shortcomings. They are heat resistant and they do not swell. In the following pages, we present different reactions (amide synthesis, reductive amination, Henry reaction) using SiliaBond Reagents as well as an electrophile and nucleophile that demonstrate the effectiveness of these reagents for microwave applications.